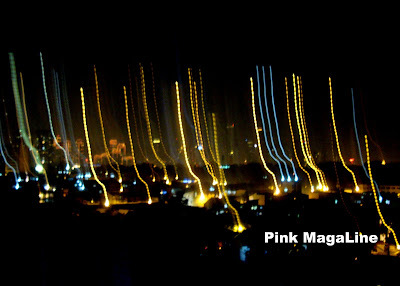 Pink MagaLine: Hello New Year! The midnight of December 31, 2011 was the loudest ever. We normally spend the holidays esp. New Year in the province. There was a change of plan, so this time we stayed in the city. As usual, I prepared different kinds of food for media noche. The night was very colorful. Various fireworks display until midnight. 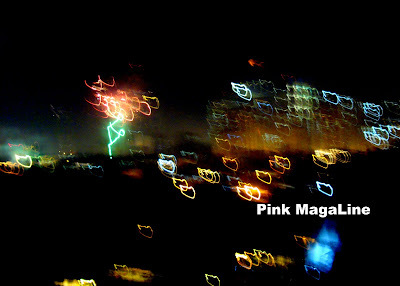 Mandaluyong and Makati skyline 5 minutes before the New Year. And, this is the photo of the morning after.. polluted city! 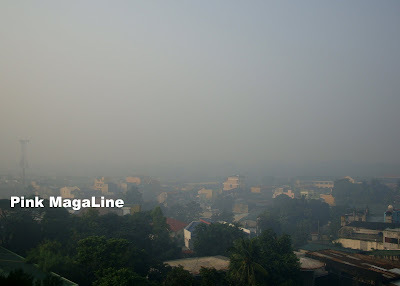 Look at that, Makati is no longer visible. The smog was so thick that I couldn't see the skyscrapers anymore. We shut all of our windows almost all day. Most of us did not go out until 3 in the afternoon. How about you? How was your New Year? 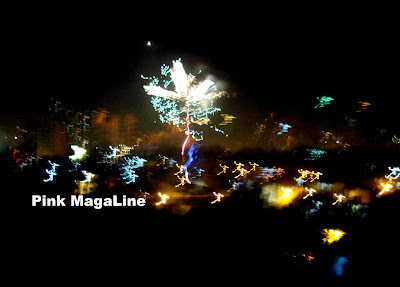 Did you have fireworks too? Our family's new year celebration was simple. We just ate like crazy and watched tv altogether.. :)) It was so loud outside our house and it was really scary 'cause there's an ambulance siren every 10 minutes along with the firecracker noises.. >.< And yes, our street also looked trashed the day after. I was with my Pinoy friends during New Year's Eve (whose husbands had to work that night too) in a Casino lounge for the countdown. No firecrackers so the following morning looked like just an ordinary morning here.